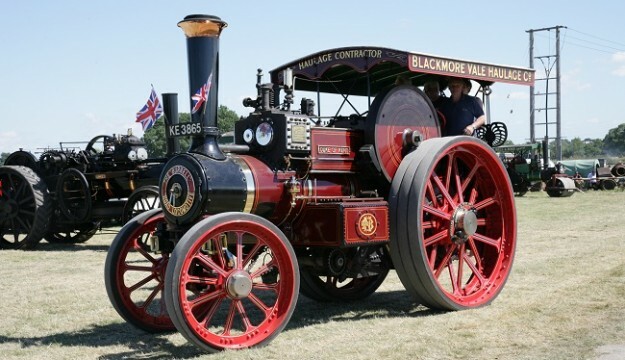 The West Somerset Railway Association will be holding their annual Steam Fayre and Vintage Vehicle Rally at Norton Fitzwarren on 5th and 6th August. The West Somerset Railway will be running a dedicated service from Minehead to Bishops Lydeard in the morning, and will also provide shuttles between Bishops Lydeard and Norton Fitzwarren linking with the Rally. Along with normal services for this day, we will be providing a DMU service that will leave Minehead for Bishops Lydeard at 9.15am stopping at Blue Anchor, Watchet, Williton and Bishops Lydeard. The DMU will then provide FREE shuttles all day between Bishops Lydeard and Norton Fitzwarren. The last service out of Norton Fitzwarren will be 17.10 and will make up our last service of the day from Bishops Lydeard. Combined tickets for entry to the rally and your travel from Minehead can be purchased online in advance. The Steam Fayre and Vintage Vehicle Rally raises money for the West Somerset Railway Association and contributes to the funding that the railway receives throughout the year.